Whether you’re at St. Michael’s for someone’s wedding, baptism, first communion, or simply just stopping by to see for yourself what Catholics do on Sundays, we want you to know that you are 100% welcome here. If you haven’t been in a Catholic church before, or if you’re a Catholic but have been away from the church for quite a while now, know that you are not alone. The Catholic Church is 2,000 years old. All throughout that time, many people have fallen away from practicing their Catholic faith for different reasons. But once in a while, something happens in life that pulls them back into rediscovering God, faith, and life. If you’ve left the Church because of past hurts, didn’t see the relevance of faith in daily life, or if you’ve simply stopped coming to Sunday Mass, you’re always welcome to come back and we at St. Michael’s are ready to journey with you. There are many other churches. Why should I attend a Catholic church? The Catholic Church isn’t just one church among many. It is, in the fullest sense, the Church that Jesus himself founded. Since that time, St. Peter and his successors — the Popes — have pastored the Church that Jesus founded, and will continue to do so until his second coming. 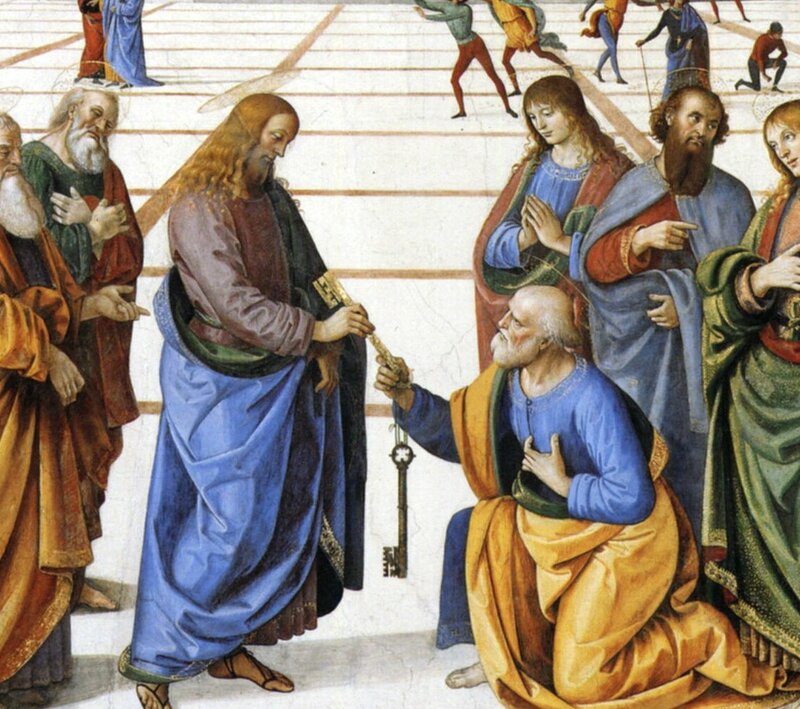 This Apostolic Succession is part of the Church’s living Tradition, ensuring what is being taught today is exactly the same as what Jesus taught 2,000 years ago. I'm thinking of coming back. What do I need to do? If you’re a Catholic wanting to come back to the Church, all you need to do is come back to Mass! Rediscover your faith and allow Jesus’ love and mercy to transform you in the Holy Mass. Join us on Saturdays at 5 p.m., or Sundays at 9 a.m., 11 a.m., and 5 p.m. Fill out a connect card after Mass, which you’ll find at a table in the Gathering Area near the doors to the sanctuary. This will allow us to reach out to you with important information you might need. Experience God’s mercy in one of the most beautiful places you could ever be in: the confessional. Don’t worry, going to Confession isn’t like going to the principal’s office! Confession times: Fridays from 8 a.m. to 9 a.m., Saturdays from 3:30 p.m. to 5 p.m., or by appointment. Contact us to set one. What if I'm not Catholic but I feel drawn to the Church? We’d love to get to know you! You’re not the first one. Many people have been in your situation where God has drawn them to the fullness of faith found in the Catholic Church. Contact us using the form below, or email Sandy at sleia@saintmichael.ca to get started. We’re pleased to offer you free access to FORMED, a revolutionary online platform for Catholic faith formation resources — including movies, documentaries, ebooks, mp3, study programs, and so much more.